Sydney’s is Toronto’s premier independent menswear’ retail shop. Owner and head buyer Sydney Mamane has spent over a decade, evolving his menswear retail business from a bespoke suiting and denim service to one of the world’s finest menswear destinations. We are a multi-brand menswear shop located in Toronto’s Queen West neighborhood. 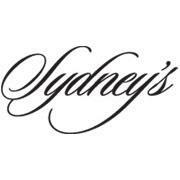 Sydney’s offers a carefully curated selection of contemporary and designer clothing, footwear, and accessories – many of which are exclusive to Sydney’s and of limited availability worldwide. Sydney’s aesthetic is minimal with an acute focus on quality. Throughout the store, one is likely to observe clean lines, slim modern shapes and silhouettes, thoughtful design, innovative construction, minimal detailing, predominantly neutral palettes, and elegant fabrics.